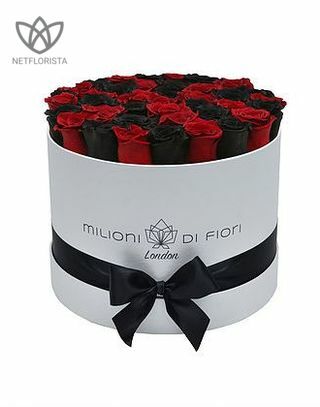 14-18 gorgeous long lasting stems of luxury Ecuadorian Infinity roses nestled in our beautiful handmade black gift boxes. 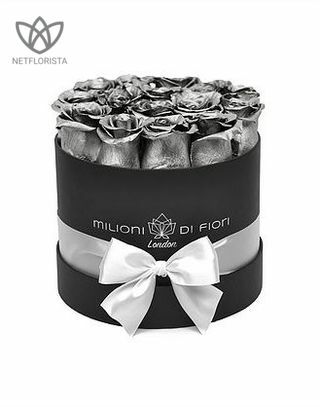 With minimal care, you can enjoy MILIONI DI FIORI silver infinity roses for up to one year or more! The preservation process keeps your flowers looking radiant. By stabilising the growing process. 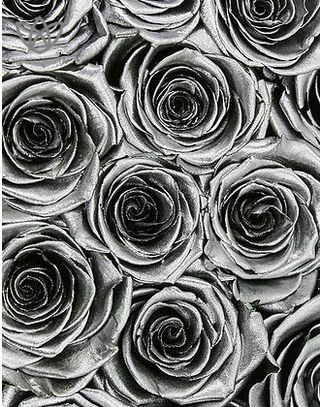 The carefully selected roses go under a rehydration process and are treated with a mixture of glycerine and other supplements which help maintain the natural appearance of the buds, so they appear just like the freshly cut ones. 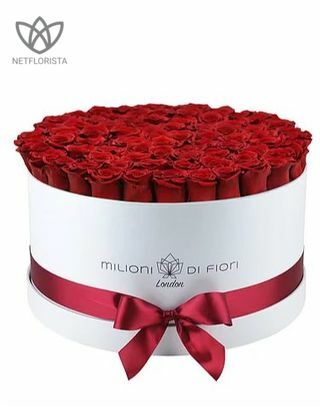 Preservation of the flowers happens in the early stage of growth when they are the most radiant and fresh, this gives you the opportunity to have our beautiful flowers up to a year. 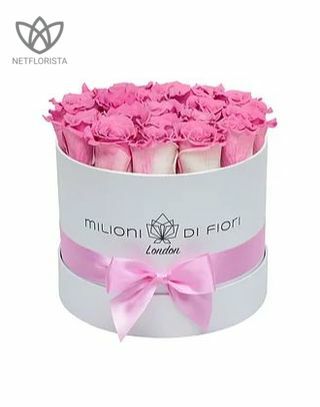 Your roses will look natural, soft and bright for a long time when kept under the right conditions. 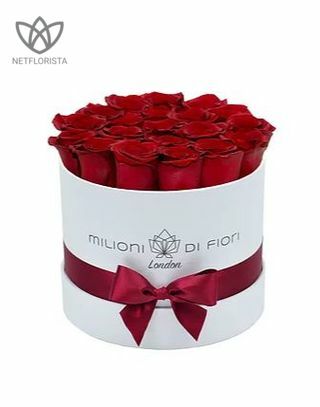 x You can purchase with price protection We guarantee that you find the best possible rates on Netflorista.com, so not higher price that the florist offers on its own site. 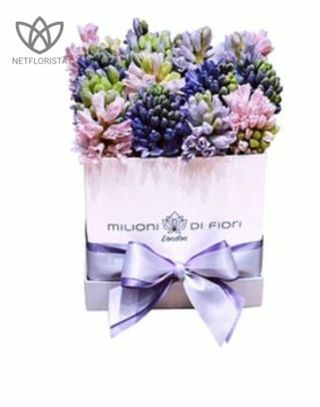 If you found a better price online without any promotion, please notify us at info@netflorista.com. You will receive the product at that price rate. 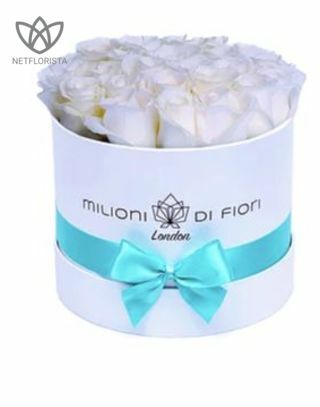 MILIONI DI FIORI - Millions of Flowers - London presents a fresh and stylish way to surprise your loved ones or to make that special occasion memorable. 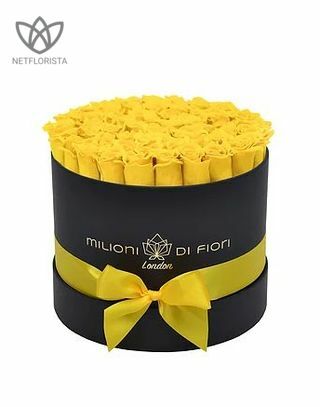 Our family run business creates beautiful, luxurious handcrafted gift boxes and fills them up with love and the best quality infinity roses. Our collections are always carefully selected to provide the best quality products for you. There are a variety of options that you could choose from according to your taste and the occasion. Whatever the occasion, whether it be your anniversary, engagement, Valentine’s Day, Mother’s Day, corporate event, wedding, restaurant, hotel or office decor, we will create the perfect flowers or installations for you. Our brand represents balance and quality in everything we do. We deal with your request with extra care, as our client's satisfaction is highly important to us. If you wish to make an occasion unforgettable, please do not hesitate to contact us. Arrange a scheduled delivery. 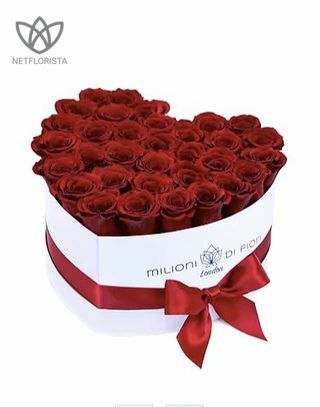 The delivery takes 1-2 working days generally counted from the acceptance of the order. Same day delivery is possible if you can see a “Same day” icon on the product. 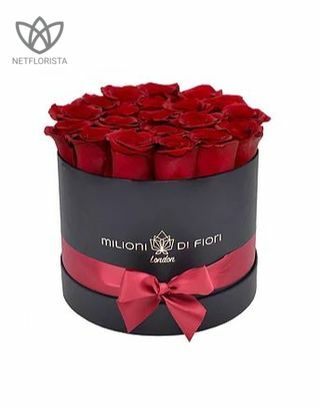 Please note that most of the florists and gift shops do not deliver your order on Saturday or Sunday. If you have specific instruction, please write it to the comment section.